That’s JB Weld Hi-Temp Red Silicone, rated up to 550 °F = 290 °C continuous operation, so it should be Just Fine at PETG’s usual 250 °C. N.B. : I have the XY=0 origin in the middle of the platform, so don’t do like I do and expect it to work if you put the origin elsewhere. The microswitch in the background senses the top of the platform, eliminating all the putzing around everybody else does to get a consistent Z offset. I verified the switch trip point by sliding my trusty Starrett No. 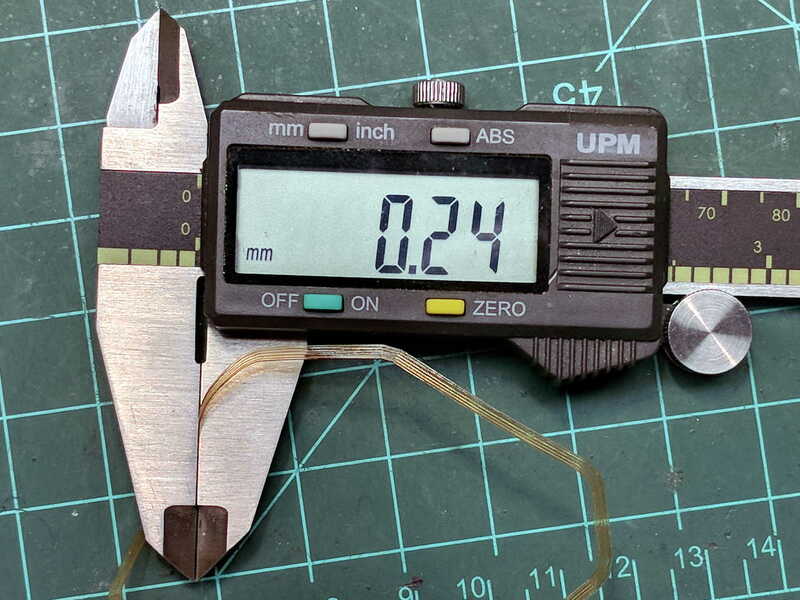 270 Taper Gage under the lever until it tripped at 2.1 mm; about as close to 2.15 mm as one might hope for. The PETG hairs I described in the original post were conspicuous by their absence. It’s too early to tell if the silicone coating is a complete cure, but at least it’s not causing any obvious problems. 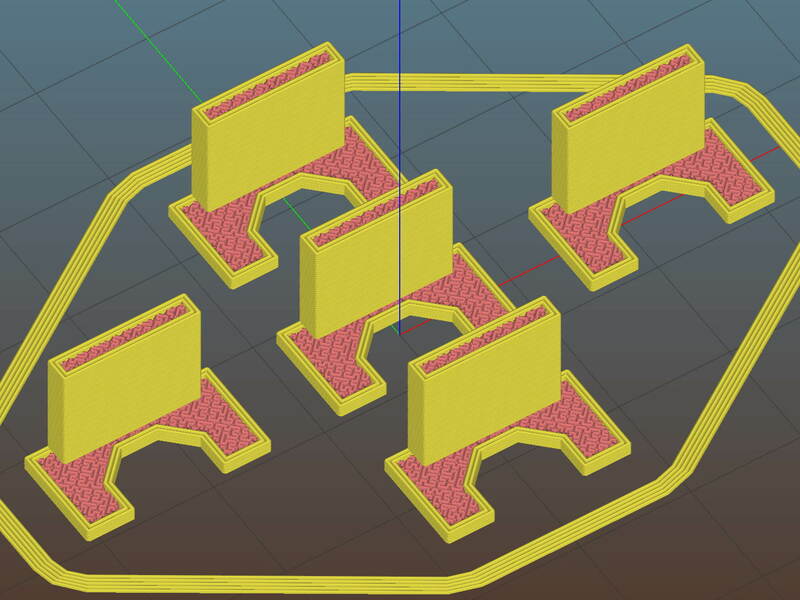 I must print some calibration squares to verify the platform alignment and the overall height. This entry was posted on 2018-02-08, 07:19 and is filed under Machine Shop. You can follow any responses to this entry through RSS 2.0. Both comments and pings are currently closed.